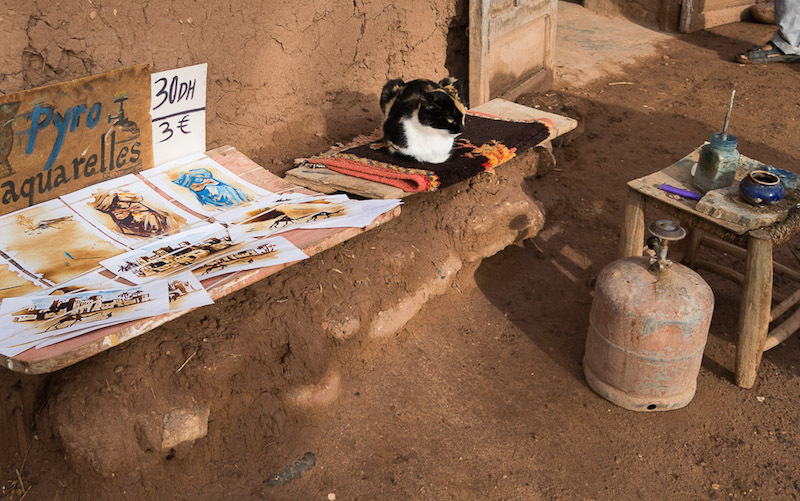 We spent the first night of our southward trek from Marrakech to the Sahara in Ait Ben Haddou. The name refers to both the town and the ancient walled village that stands on a nearby hill. 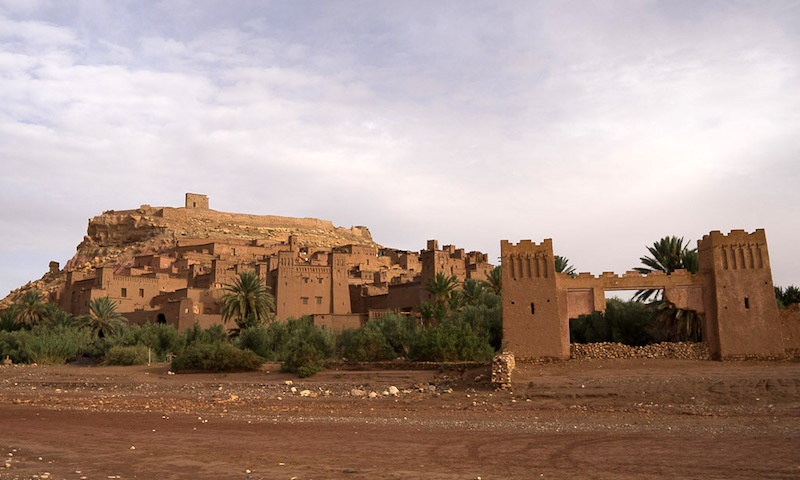 The ksar (fortified town, sometimes translated as castle) of Ait Ben Haddou, a UNESCO World Heritage Site, is a prime example of southern Moroccan earthen architecture, with its buildings constructed of clay brick. A way station and trading post on a former caravan route leading from Marrakech across the Sahara to Sudan, its oldest structures date from the 1600s. We had hoped to climb the ksar that evening and take shots of its structures against the night sky, but it started raining heavily shortly after our arrival, so we postponed our walk for the following morning. Across the street from our riad (guest house) is a path that leads to the ksar, which appeared as a dark mass against a cloudy sky ahead of us. We climbed in darkness, accompanied by several friendly dogs, up short flights of stone stairs and along switchback earthen paths. By the time we reached the top, which is crowned by a small tower, the predawn light was filtering into the sky. We stayed up there, taking photos, until well after dawn. Our group split into two, and several of us started our descent, attempting to retrace the path by which we had ascended. We must have made a wrong turn, and soon weren’t sure where we were. We accidentally entered a private courtyard and were promptly shooed out of it, although its owner did point us in the right direction. Soon after, we came across Abdou. He was sitting on the front steps of his shop, which was filled with his paintings. To his left was a large portrait of a woman, and above it a chart showing the letters in Tifinagh, the Amazigh (Berber) alphabet. On a tiny round table next to him were paintbrushes and several small bowls containing pigments, some earth tones such as yellow (saffron) and brown, but also blue and purple. He was working on a painting on a small sheet of white paper, and was using yellow to fill in the background. He had a small tank of propane or similar gas, with a burner on top, at his feet. At one point he ignited the burner and set the flame to low. He then took the illustration with the full background, and gently played the bottom of the painting over the flame. While we looked, as if by magic, brown detail (which he had previously painted) showing a Kasbah-like structure appeared amid the yellow. He likened this process to revealing a message written in invisible ink. 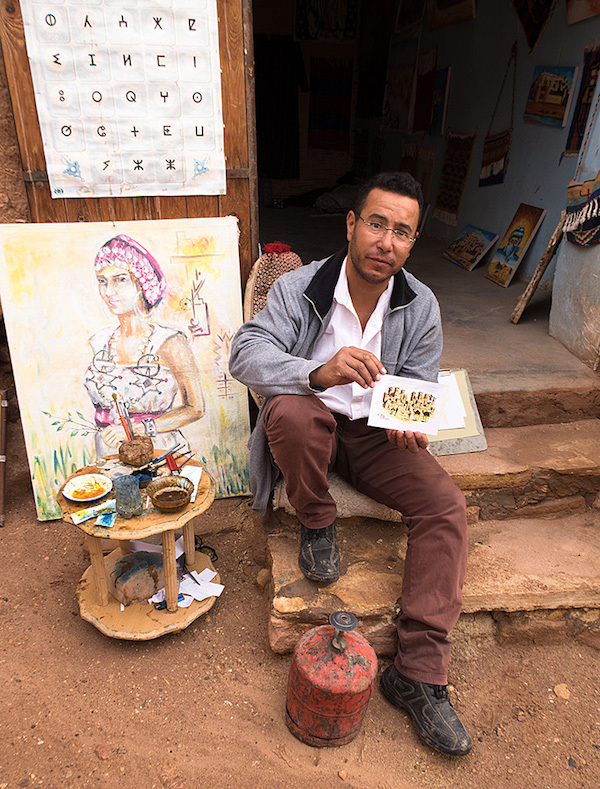 Sometimes called pyro aquarelles, these paintings are a common creation of Berber artists in southern Morocco. 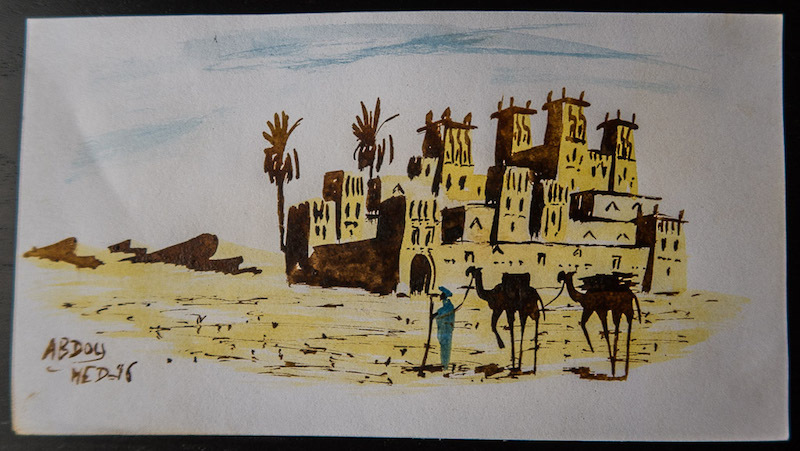 I bought one illustration, depicting a man leading two camels in front of a Kasbah, and paid a pittance (by American rates) for it, although I later saw similar paintings selling for even less. 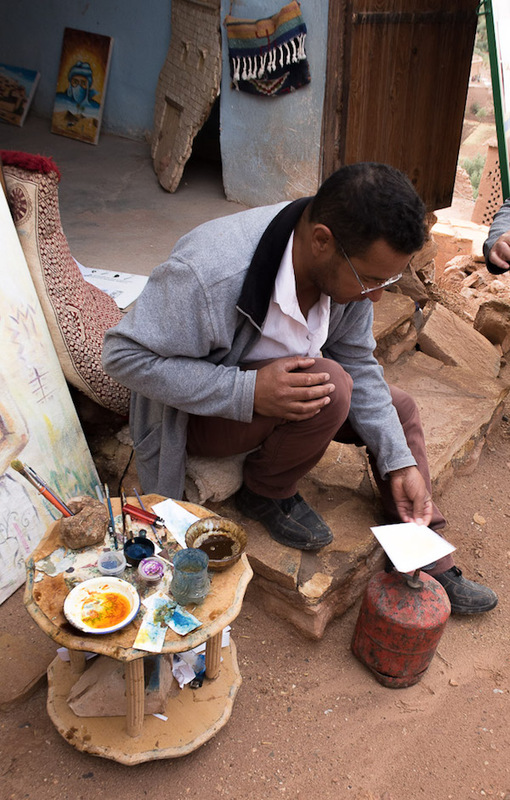 After taking leave of Abdou, we slowly made our way down out of the ksar, passing close to a dozen shops selling art or handicrafts. 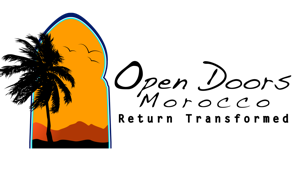 When we reached ground level, we passed through a small date palm grove and crossed a oued (a wide, mostly dry riverbed) that separated the ksar from the modern town and offered great views. On returning to our riad, we had breakfast, packed up, and were soon back on the road to the Sahara. 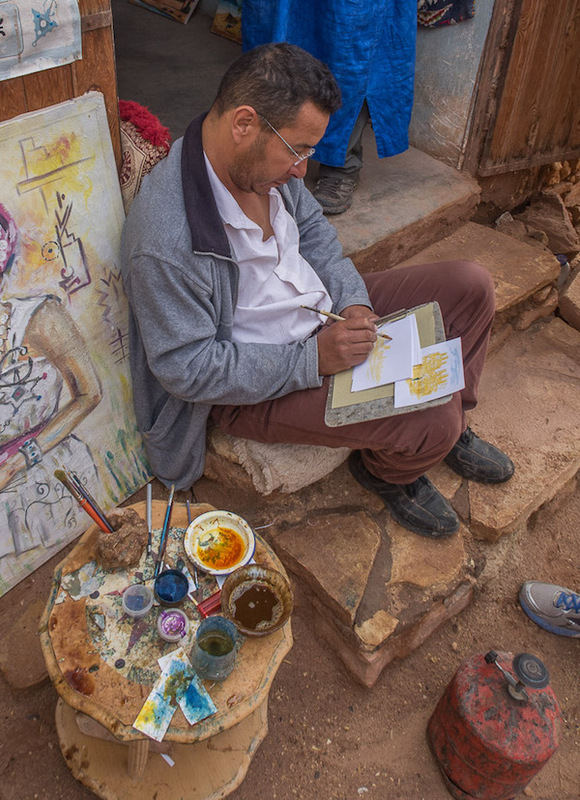 Although Ait Ben Haddou was soon out of sight, I did have Abdou’s painting, as well as the memory of our encounter with him and our adventures in that extraordinary and beautiful place. You can view more photos by Tony Hoffman HERE. 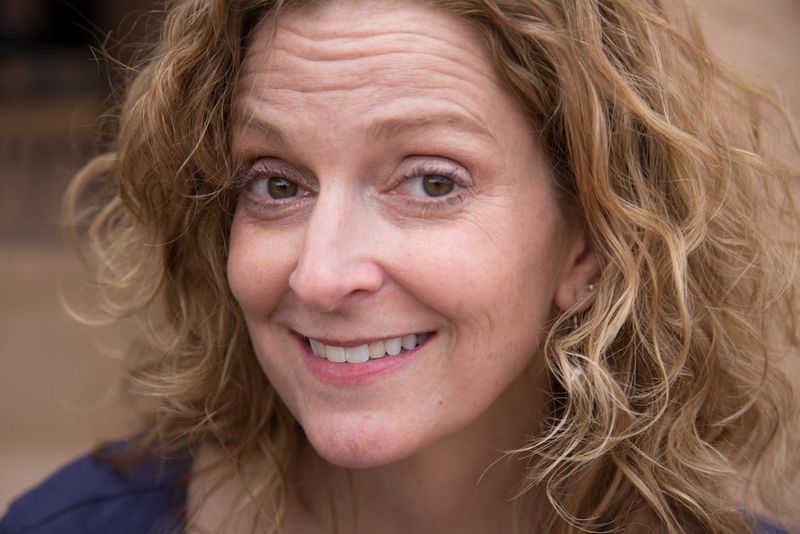 I am a writer and photographer based in New York City. 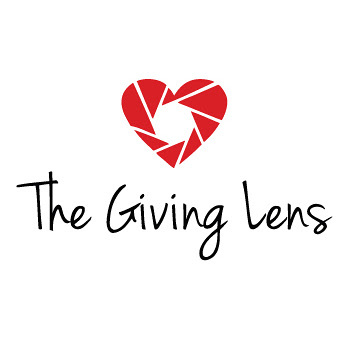 In October 2016, as a participant in The Giving Lens Morocco, I had the pleasure of traveling with Open Doors Morocco in the Marrakech area as well as on a trek to the Sahara. 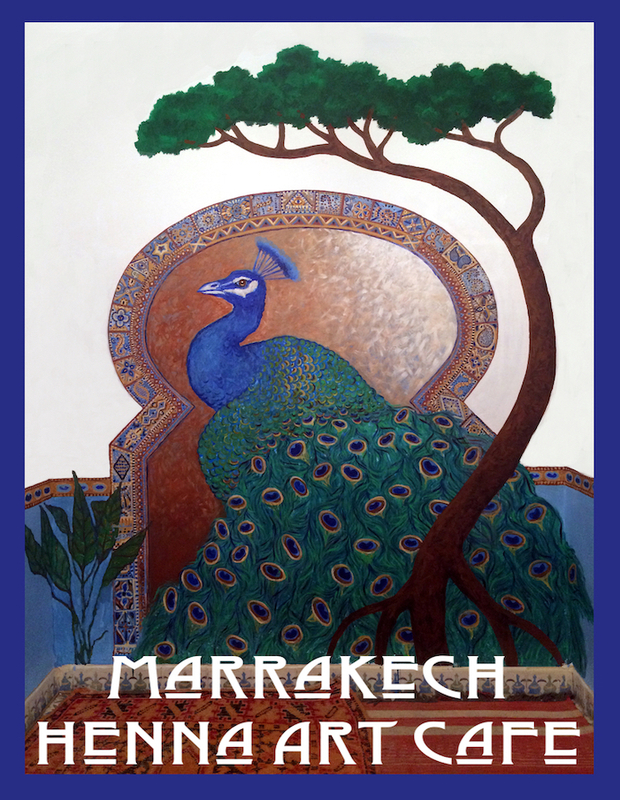 I was very impressed by the knowledge, friendliness, and professionalism of the Open Doors Morocco team and the care and thought put into our itinerary, and I am honored to be a guest blogger. This was my second trip to Morocco, after visiting the north (Tangier and Fes) in late 2014. A key reason for my explorations of Morocco is as an experiential journey into the lands of my forefathers, as DNA testing has revealed that I share a direct paternal ancestor, going back a few thousand years, with the majority of the people known to the world as Berbers and Tuaregs, now spread out through much of northwest Africa.